The American Youth Leadership Program with Bangladesh brought together youth and educators with an interest in cross-cultural affairs and climate change to explore these themes at home and abroad. Thirty U.S. high school students and five educators took part in this nine-month program running from August 2012 – May 2013. 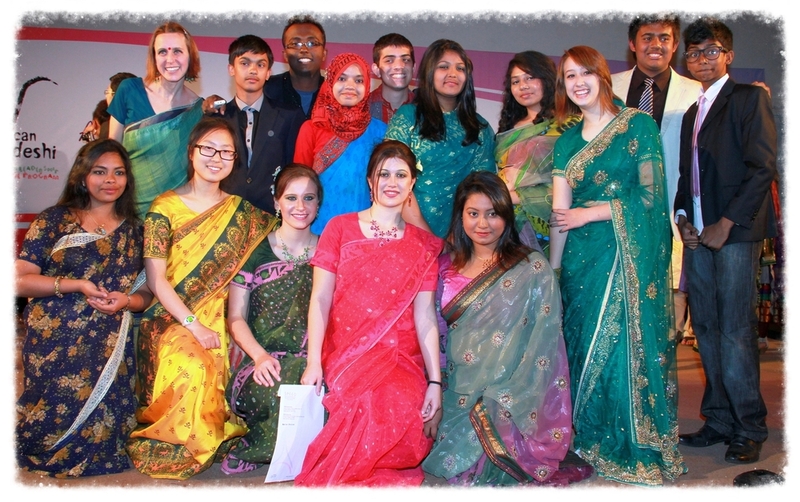 During this same time a cohort of 30 Bangladeshi students completed a similar program in their home country. The two groups came together for a month in Bangladesh to explore cultural exchange and issues of climate change. While abroad, participants and their Bangladeshi peers traveled in and around Dhaka and Bangladesh to gain an understanding of another culture, and for the Bangladeshi students, to dig deeper into their own while also getting to know a group of people from the U.S. Participants explored various places and communities that were impacted by climate change, as well as learned more about the environmental, social, economic, and political impacts of climate change in Bangladesh and globally. Students also traveled to the Sundarbans, the largest mangrove forest in the world. They completed service learning projects in rural villages and city slums, and saw first-hand the effects of and possible solutions to climate change.